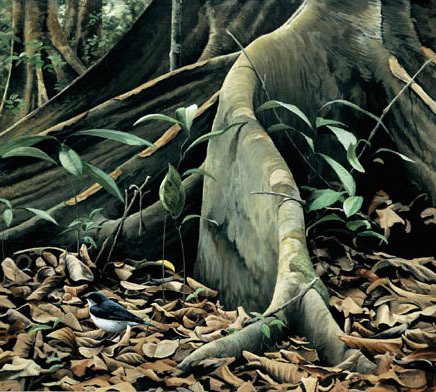 A large amount of field work went into producing this painting, most of which was painted in the forest in Khao Yai National Park, Thailand, March 2000. The butress featured is about 800 m from the main road along trail 33 on the right hand side of the path. Although a common wintering bird in Thailand, the Siberian Blue Robin can be difficult to view well.